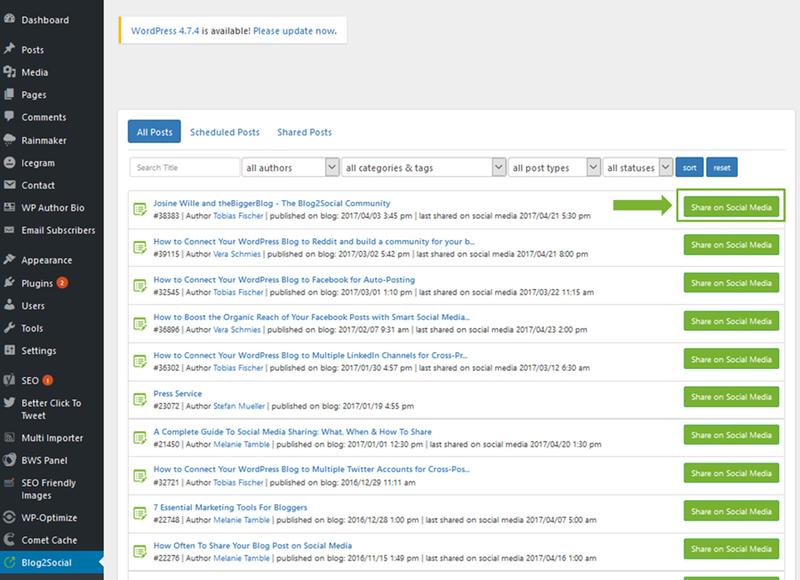 Blog2Social - Schedule post to social media like Facebook, Auto-post to Facebook, share blog posts to Facebook, Twitter, LinkedIn, google+, Instagram, PinterestHow do I connect Blog2Social with Instagram? 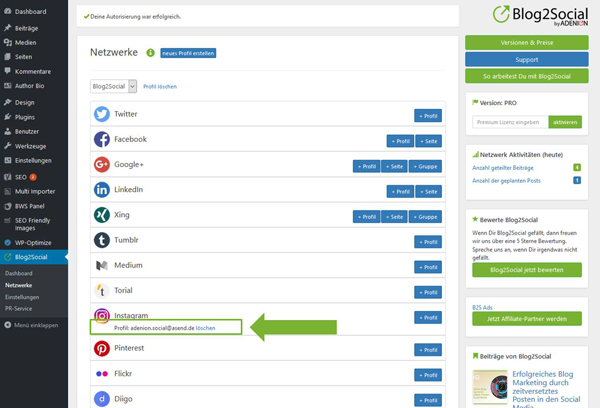 Please log out of Instagram first and then reconnect the network to Blog2Social. Please note that you must be logged out of both the Instagram app and the browser before reconnecting. 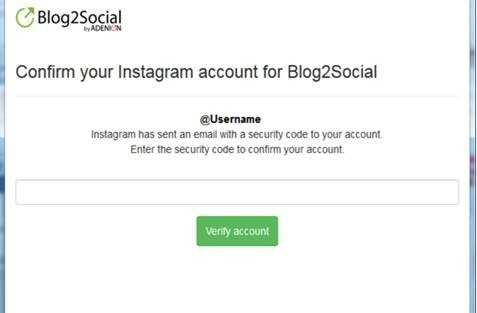 Please note: Two-factor authentication must be and stay disabled so you can use Instagram with Blog2Social. 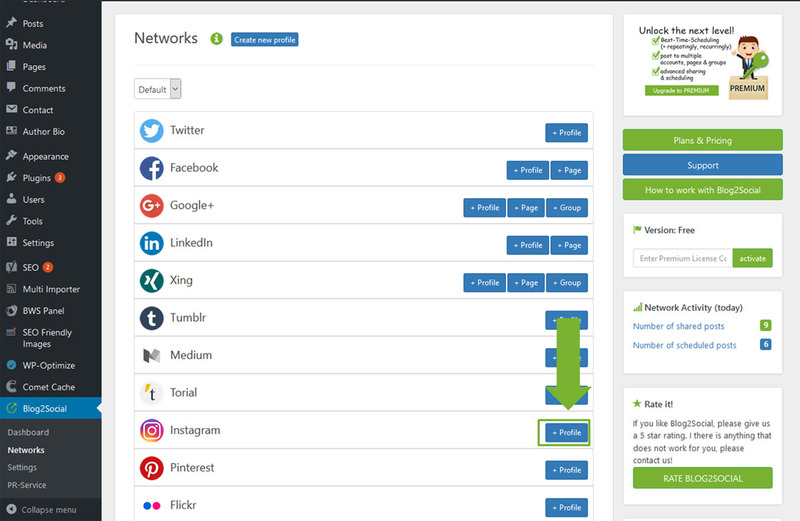 To connect Blog2Social to your Instagram profile, please go to "networks" within your Blog2Social Dashboard. 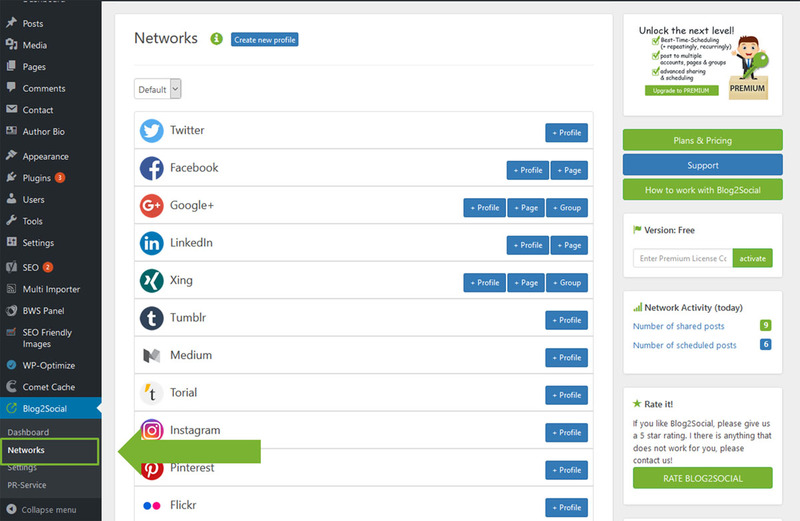 Here you find an overview of all the networks you can connect Blog2Social with. 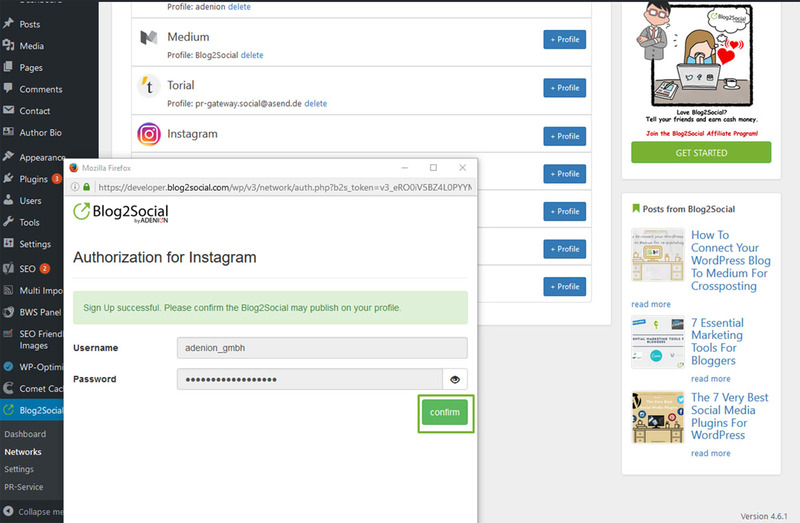 To connect your Instagram profile please click on "+ profile". 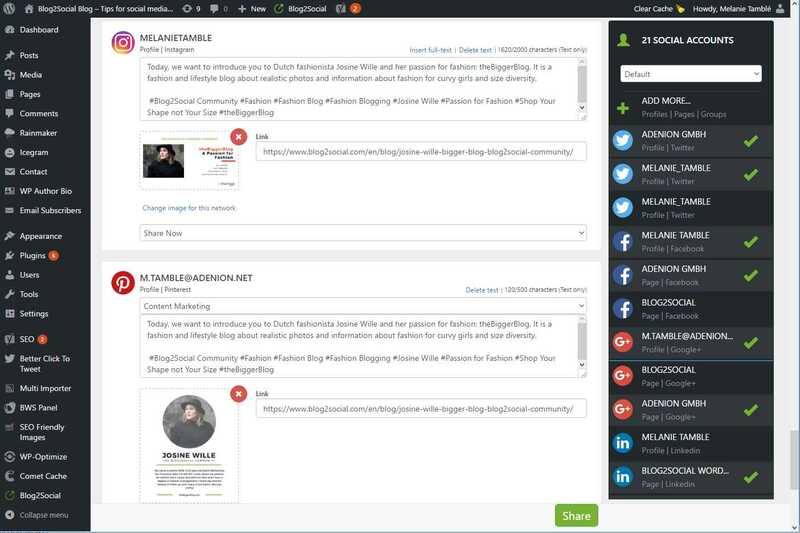 After you've done so, please confirm that Blog2Social may post to your profile. Another window will open and ask you to confirm your account. 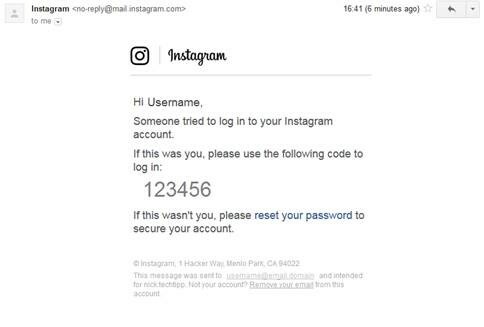 And, Instagram will automatically send you an e-mail with a security code. Your authorization is complete and you can share your blog posts and images with Blog2Social on Instagram. 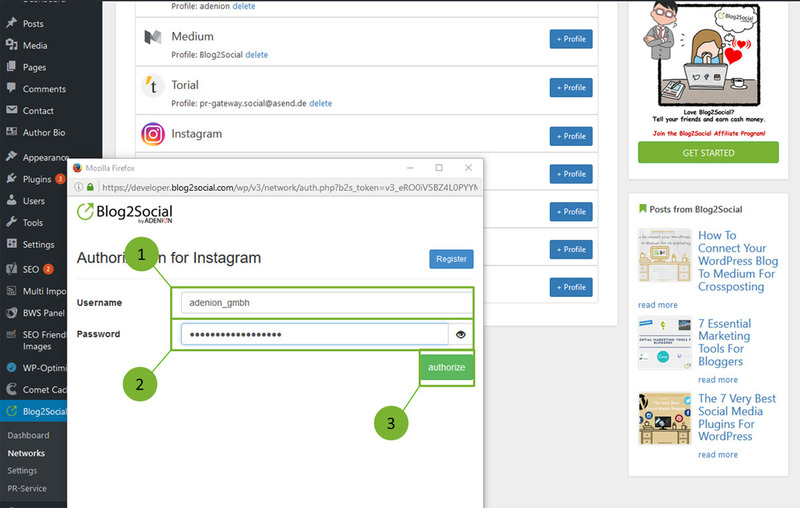 You can auto-post to Instagram, whenever you publish or update a post, or you can select individual images for Instagram, edit your comments and schedule your post. 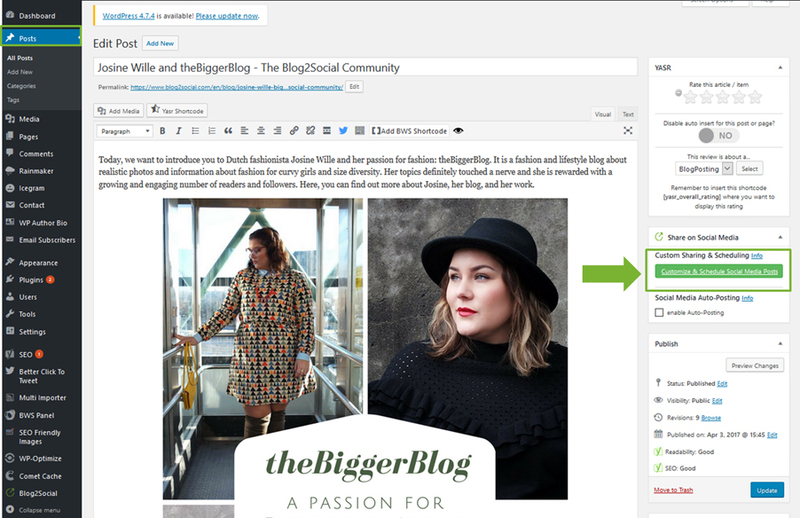 Both options will lead you to the Blog2Social one-page preview editor, where you can customize your posts for each network, select individual images for each post and schedule your social media posts. 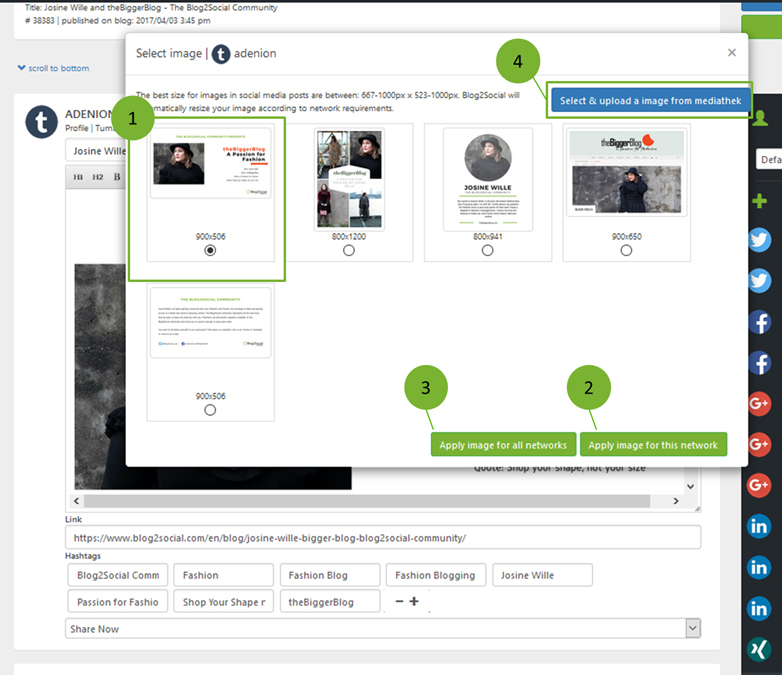 To change the featured image and select an individual picture to go with your blog post, simply click on the images frame and a pop-up window will open.